This is the place to gather with family and friends and enjoy scrumptious food and drink. Dine on our extra-large deck overlooking the Colorado River and Glenwood Canyon. Our menu is filled with a variety of delicious choices! 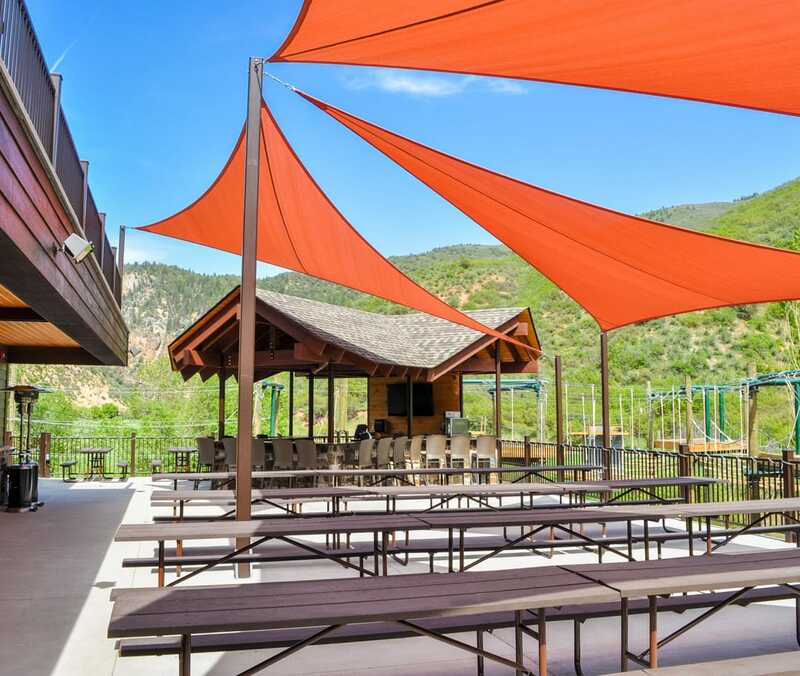 Kick back and relax on the most scenic outdoor deck in Glenwood Springs. 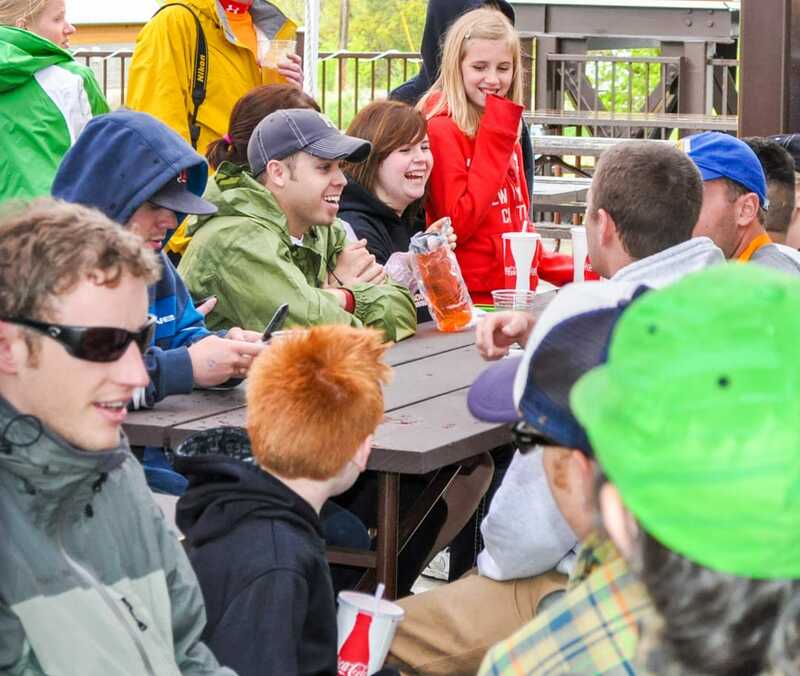 Grab a freshly grilled burger and a brew after an exciting whitewater rafting trip or join a western cookout or campfire sing-a-long at the end of an adventure filled day on the zip line and challenge course. There is never a dull moment at the Bar & Grill. Join us on our 5,000 sq. ft. deck overlooking the spectacular Glenwood Canyon or in our 2,000 sq. ft. grand event room for lunch, appetizers, drinks and dinner. Our menu is filled is with a variety of healthy and delicious choices. 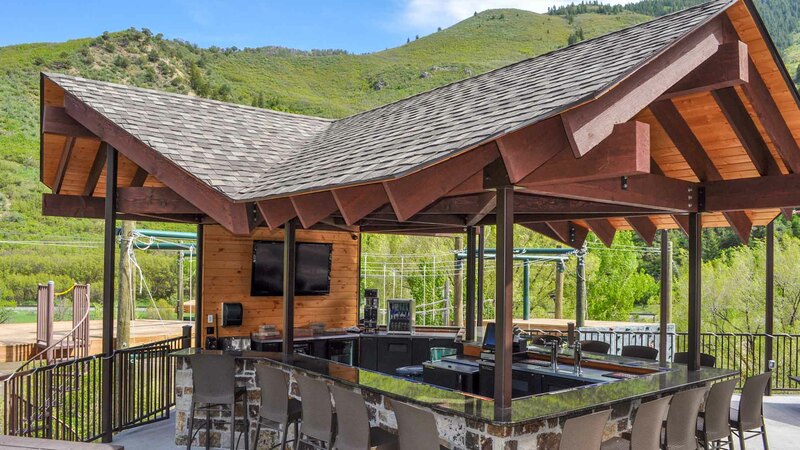 Our full service bar is housed in a cabana on the deck of the Canyon Club overlooking the Colorado River. Enjoy your favorite cocktail or beverage as you take in the beauty of the Canyon and surrounding Rocky Mountains. There are big screen TVs playing all your favorite sporting events for your viewing pleasure. Or if you prefer, watch the multitude of live activities all around you as rafters crash through the river far below and adventurers shriek with delight as they step off 40′ high platforms to zip high across the river.